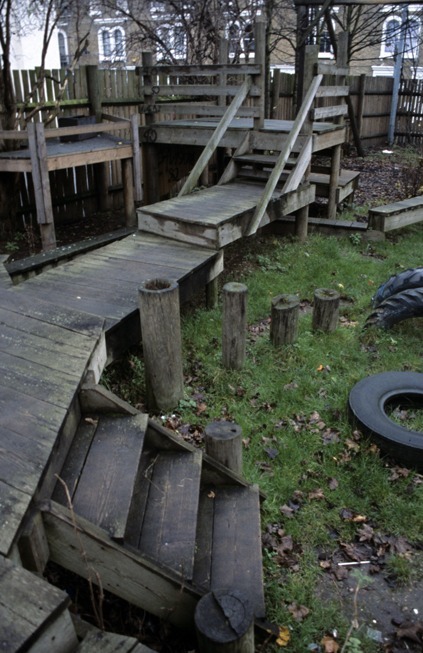 Fredericks Adventure Playground was set up in 1982 by local residents on a former bomb site. It has a very efficient design that uses all the available space in a compact corner lot between terraced housing. It has a Demon swing that creates an interesting direction change to the usual swinging movement. Some structures are a hybrid mixture of fixed and adventure play.